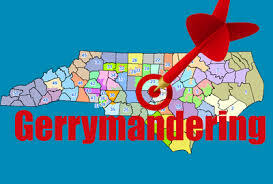 RALEIGH -- North Carolina lawmakers say they might have to change 116 of the state’s 170 state legislative districts to correct the illegal racially gerrymandered districts used to elect General Assembly members for the past six years. The private attorneys representing the legislators who were sued over the 2011 district lines offered that detail in federal court documents this week as one reason for opposing special elections this year. Oh God, don't make us do the right thing, sez the Repubs in the NCGA, because we've made such a mess, it'll take a mop bigger than the known universe to clean it up! And that's just not fair!